Today is a very special day. For the first time, I'm hosting a tour stop for Inceptio Blog Tour. New York, present day. Karen Brown, angry and frightened after surviving a kidnap attempt, has a harsh choice - being eliminated by government enforcer Jeffery Renschman or fleeing to the mysterious Roma Nova, her dead mother's homeland in Europe. Founded sixteen centuries ago by Roman exiles and ruled by women, Roma Nova gives Karen safety and a ready-made family. But a shocking discovery about her new lover, the fascinating but arrogant special forces officer Conrad Tellus, who rescued her in America, isolates her. A 'Roman nut' since age 11, the mosaics in Ampurias (Spain) triggered her wondering what a Roman society would be like if run by women. That idea bubbled away in her head for years. 'I could do better that that,' she whispered in the darkened cinema. 'So why don't you?' replied her other half. After a West Kent childhood and uni in Leeds, Alison worked as a civil servant in the City of London, dealt in coins and antique jewellery, head-hunted chief executives, served as a Territorial Army officer and owned a translation company. With a BA in French, German and Economics, she went back thirty years and bagged an MA in History. She now lives in France with her husband. Pursuing her interest in women's history and a nod to her own military service, Alison published a history eBook Military or Civilians? The curious anomaly of the German Women's Auxiliary Services during the Second World War in March 2012. Want to check the rest of the Tour? Then here are the previous and next tour stops! I think you have caught the essentials of the book - themes, characters and plot - extremely well. 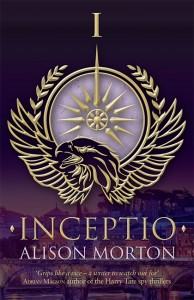 I'd love to win Inceptio because the synopsis is just awesome! And Pedacinho's review just made me hungry for it!! I can totally see how much I'll love to read it! But really, I like what you said about the heroine, that she's curious, active, and has a strong personality---that's my kind of heroine. Bem eu sou uma fã de alternative story, por isso Inceptio parece-me uma boa escolha! Also está bastante bem cotado no GR, parece ser uma boa aposta! Congratulations to Cristina O. on winning INCEPTIO! I hope you enjoy reading it, Cristina, as much as I loved writing it. 2009 Pedacinho Literário. All Rights Reserved. 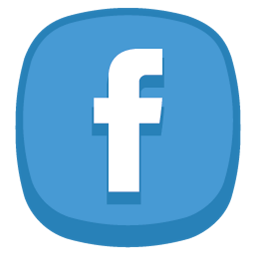 Share book reviews and ratings with Patrícia, and even join a book club on Goodreads. Patrícia has read 1 book toward her goal of 50 books.